Get a FREE consultation and save 100$ on Coolscupting at MediLuxe. Best Price in Montreal. Price Match Guaranteed. 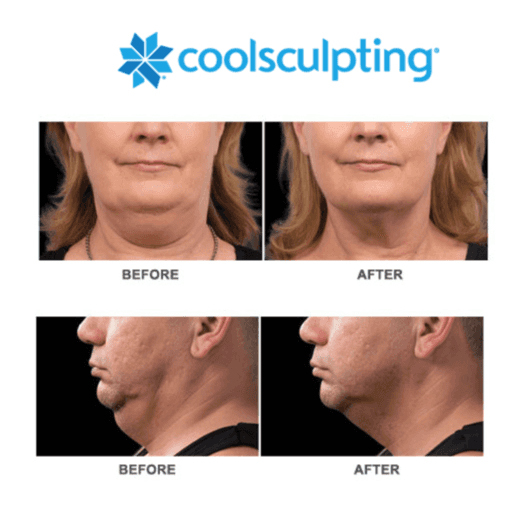 Developed by researchers at Harvard University, the CoolSculpting® is a non-surgical and natural method. It is the newest and most innovative technology that quickly redefines the curves due to stubborn fat. After a one-hour session, you can already reduce your fat by more than 30%. CoolSculpting Cryolipolysis is a system designed to gently destroy fat cells by exposing them to a controlled cold for an hour to safely eliminate them (apoptosis). The crystals thus formed are simply sucked into an applicator. The applicator has two freezer packs equipped with sensors to detect temperature in order maintain a controlled cold without any risk of burn or necrosis. The bead is covered with a gel fabric to facilitate the aspiration and to protect the skin. No other instrument is used: it is a non-invasive procedure. Enter for a chance to win $1500 from Air Canada with the purchase of Coolsculpting at Mediluxe. Places are limited. - call us now at (514) 409-1919 or fill the form below to book your free consultation. Warning: photos on this page are published for reference only to provide information on the nature of the intervention. They do not constitute a guarantee of results. Individual results may vary.